Today’s “Daily Bizcard” design, “200 mph”, goes to another fellow author from my publisher’s stable, Mark Frauenfelder. But if that wasn’t enough to place him high up on the geek pantheon, BOM BOM BOM Mark is also the co-founder and co-editor of pretty much the coolest blog on the planet, Boing Boing. I only have eleven blogs bookmarked on my browser in the “Favorite Blogs” section. Boing Boing is one of them. I’m getting picky in my old age. 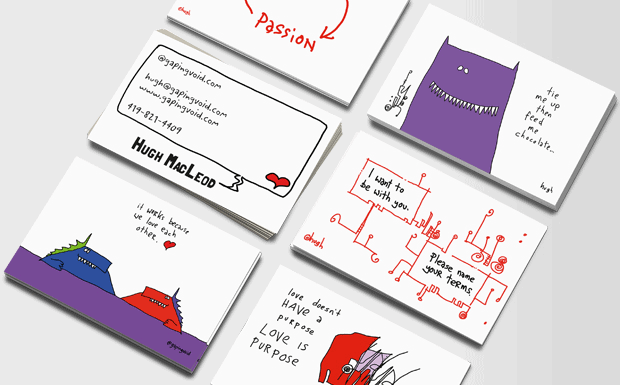 While designing this bizcard, I was thinking about what it was about Boing Boing that always appealed to me since Day One… It wasn’t just all the cool, geeky stuff they were linking to, it was something about the way they did it. Like it was the ideas and human drives behind the cool stuff that mattered, not the actual cool stuff itself. This high-speed, voracious appetite and enthusiasm for new ideas… that’s what makes the internet, at its best, so much damn fun. And nobody does it better than Boing Boing. 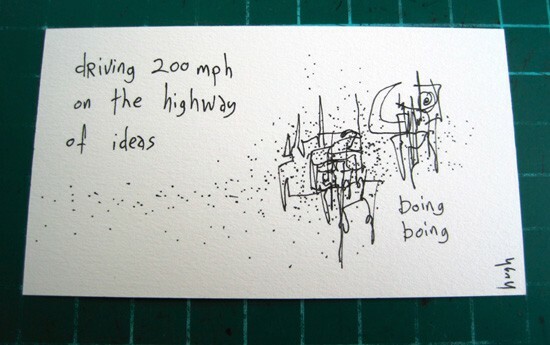 “Driving 200 mph on the highway of ideas” pretty much summed up their ethos to me. Great card! I’d love to see what other blogs made your top 11. 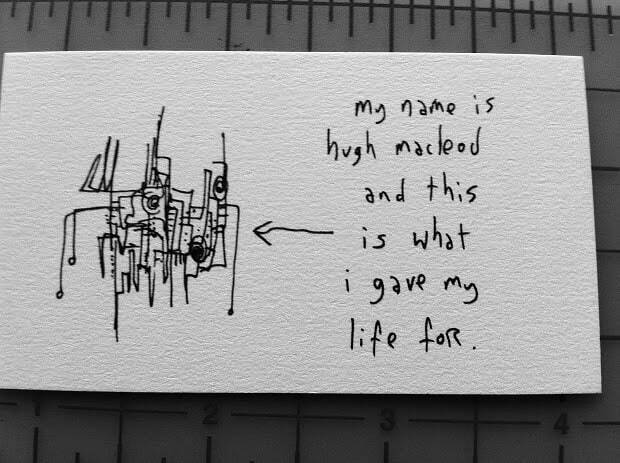 Thanks for doing the daily biz cards. Sooooo… Don’t tease us… What are the other 10 favs?? ?